Well, how lazy am I? I haven’t written in ages. I think I have the pre-winter sadness. 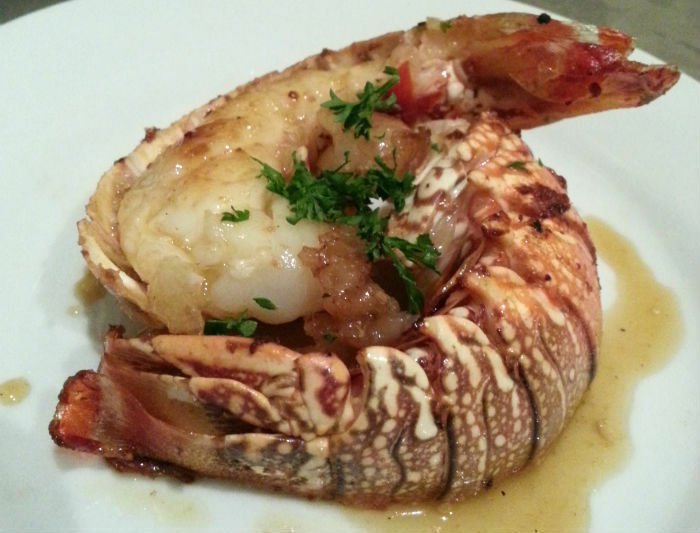 I have been cooking, just nothing from my list, which is hella lazy of me because cooking is cooking… Anyway, here is one I didn’t think I’d get to do on account of lobster being scarce at the moment – if you completely discount the idea of going to Kailis and spending $90 on one. 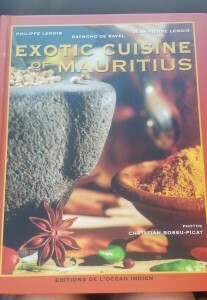 I got this recipe from my friend Sham, who brought back a fantastic cookbook from Mauritius, where he is originally from. I wanted to make everything in the book, but he wanted it back so I made do with photographing a few pages. 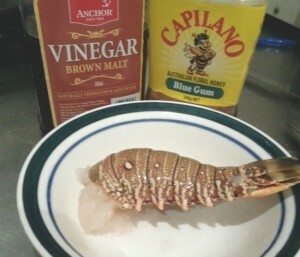 Now, this is actually the first time I’ve even cooked lobster in my house. I normally pine for it, and then eventually go to Matilda bay and spend a crazy amount on it, even though they have the $30 odd special every summer. It’s hard to leave that place, I can tell you. 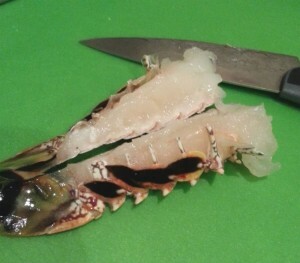 So, apparently, lobster is really hard to cut. I actually lacerated my hands trying to do it, and I have a pretty good knife. I modified this recipe as I was only cooking for one. 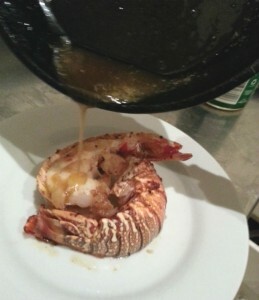 OK, so after wrestling with the lobster, boil it for 15 minutes in stock, or grill it on the stove for 15 minutes. To make the sauce, I just whacked all the ingredients in a cast iron pan till it was thick and bubbling. Pour over lobster and garnish. Now, the recipe is for medallions, so if you were making this for more than one person, you’d drag out the tail meat, and cut into little medallions and serve with the orange honey sauce over the top, interspersed with orange slices. But that didn’t happen. The sauce was very nice though, next time I’ll add some garlic and more cayenne, but otherwise, a unique lobster experience. The cookbook, courtesy of Sham!